We had what can be called our first "Gift's Night Out" (like Girls' Night Out but better) today. I'll let someone else write about the night - what I want to do is to share a quick thought that came to me. 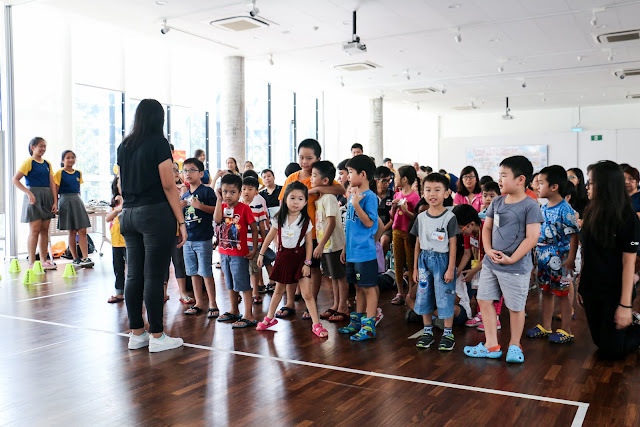 Someone from the Museum was sharing with me about this art event they will be having at the Istana on August 6th, and she had asked if we would be interested to send some children and volunteers down to participate. I told her I would need to get some details and discuss this with all of your first. But a thought that struck me at that time was this: If we don't establish good relationships with the parents, it will be difficult for us to do good for the children. Even if we want to bring the children to an activity that is beneficial, whether it's in our usual sessions or in a trip to the farm, it will be difficult for us to convince them to allow us, unless we have a good relationship with them. As such, it's going to be very important for us to not just connect with the children, but also with the parents. It's not going to be easy - but I think it's going to be something that will help us grow (as with most difficult experiences). Let's see if we can take up this challenge in the coming week, and engage the parents as eagerly as we have engaged the children. It's a worthwhile challenge, especially if we want to fulfil our mission! Girls' Night Out ... kinda? August 6th ... wow, it seems like it's so far ahead of time. The parents just bring their kids to the session and walk off, so is there really any chances to interact with them? A smile and an acknowledgement can do wonders. When you reach the stage whereby you can recognise which parent 'belongs' to which child, I think you will find that the parent and you will have made a connection, even though few words were exchanged. And sometimes, that is enough to create that connection. Even in politics, studies have shown that it doesn't really matter what you say or how much money you have to put into your political campaign - more important is how you appear and how you look (not necessarily handsome in the celebrity manner but perhaps credible-looking).